Bibliographic Note: Badiou, A. (2000). Metaphysics and the Critique of Metaphysics. Pli: The Warwick Journal of Philosophy, 10(1), 174–190. Part 1 of 13 of my comprehensive note-series on Gilles Deleuze’s Cinema 1: The Movement-Image. Translated by Hugh Tomlinson and Barbara Habberjam. Minneapolis: University of Minnesota Press, 1989. Bibliographic Note: Deleuze, Gilles, Cinema 1: The Movement-Image, trans. by Hugh Tomlinson & Barbara Habberjam (Minneapolis: The Athlone Press, 1986), ix – xiv. This is my critical summary of the two prefaces and translator’s introduction of Cinema 1: The Movement-Image. This is an exercise in making reflective memos, a tip I got from Raul Pacheco-Vega’s blog. Before I start to lay down some of my thoughts on three interesting introductory pages that precede the main content of Gilles Deleuze’s Cinema 1: The Movement-Image, let me first provide some context regarding this project. This project has been brewing in my mind since last year. My problem is actually simple to say: how does one crate a provisional link between Deleuze’s Cinema project, which dealt directly with time and movement, and Marx’s concept of time in his books Capital Vol 1 and German Ideology. In reading side by side Deleuze and Marx, one can potential extract sites of crisis wherein we can enunciate a temporal/durational materialism. This may sound far flung and may perhaps been unoriginal as there might be several isolation of the concept elsewhere in various strands of thinking, but in my attempt, I shall try to bridge Deleuze’s transcendental method with Marx’s dialectical & historical materialist method to arrive at a provisionally new materialism that can materially account for the temporality of cinema, or of matter in general. This project is part of my research for the upcoming conferences I will be attending. In both Deleuze’s Preface for the English Edition and Preface for the French Edition of Cinema 1: The Movement-Image, there is obvious declaration of ahistoricism, a pivotal gesture that opens Deleuze’s two-volume book on cinema. Cinema 1 is about the production of the movement-image, while Cinema 2 is about the production of the time-image. Both of which are separated by ironically a historical juncture: the World War II. One can get easily entangled with Deleuze’s duality. Although Deleuze’s project can qualify as general philosophy, the specificity of Deleuze’s rupture can only be attributed to a cinematic production of continental Europe. Deleuze created a historical juncture between Cinema 1 and Cinema 2 without acknowledging the need to engage with the historical specificifity of his division. In comparison, between Deleuze film-philosophy and the neoformalist and historical poetics project of Bordwell and Thompson, the latter might give a more informative take on the changes of film aesthetics over a period of time albeit their lack of political inattention to issues of image production in general, while Deleuze’s work remains, at best, an attempt at a refusal to engaged in historicity and specificity of the film image. Since it lacks a historic-material grounding, Deleuze’s historical division between pre-war (WWII) and post-war cinema (WWII) can be reinterpreted as form of aesthico-philosophical categorization to demarcate two modes of Bergsonian temporality responsive of pre-trauma and post-trauma events, or events of absolute deterritorialization (such as the World War) primarily caused by reorganization of ontological, political and cultural landscape. While this duality provides Deleuze a rupture to rethink cinema in reference to time, it lacks the material anchor for a pure corporeal take on cinematic temporality. For once, Deleuze denies his project as historical one. In the first sentence of his Preface to the English Edition, he wrote: ‘This book does not set out to produce a history of the cinema but to isolate certain cinematographic concepts’ (p. ix). In writing this passage, Deleuze draws the line between philosophy and cinema studies, between idealism and materialism, and in the process, proceeds forth with a project that runs the risk of becoming an ahistorical accounting of cinematographic concepts that lead further to a mystification of cinema’s supposed temporal materiality. What is a Cinematographic Concept? Non-Technical –Deleuze is not concerned with technical categorization of ‘various kinds of shots or the different camera movements.’ (p. ix) This is rather dubious since, at the latter part of the book, he will recast the shot, the cut, the camera movement from a technical vantage point but filtered through Bergsonian terminologies. Non-Critical – Deleuze is also not concerned with a critical categorization of cinema in terms of various categories of values available in film studies such as genres, etc. (p. ix) Yet, Deleuze will also mention genre distinctions in some of his subsections. In Chapter 10, he titled a section The Western in Hawks: functionalism/the neo-Western and its type of space (Mann, Peckinpah). An Automatic Image of Time (Movement-Image and Time-Image) – Deleuze also proffers that the cinematic image is directly or indirectly associated with the image of time. This leads us to a further qualification of what a cinematographic concept is. From here on, Deleuze struggles to piece together a systematic, albeit limited, ahistorical accounting of what a cinematographic concept is via creating a bifurcation path between movement-image and time image. Deleuze’s characterization of the cinematographic concept can be summarily put as his effort to grapple the relation of time and the cinematic image. He returns to Bergson to extract fundamental theses on the components of cinematographic concept. Deleuze seemed to be dissatisfied by how film theorists of his time think about the film image. In the 1970s, there is a strict compulsion of film studies to recast the film image in terms of Lacanian Psychoanalysis, Althusserian Marxism and some strands of Saussurian semiotics. When Deleuze published Cinema 1: The Movement-Image in 1983, it was a pivotal polemic against the dominant strand of film theorizing popular at that time in Europe in similar trajectory that Bordwell and Thompson responded with their neoformalism and historical poetics. What Deleuze reinjected in film studies is a path-breaking reconsideration of some of the basic tenets of the film image namely the unresolved and often veiled issue of the relation between film image and time and temporality. We can declare Deleuze’s books as the Bergsonian shift of film studies and the inaugural moment of a new inter-disciplinary field of film philosophy. But not much has progressed since this Bergsonian shift in film studies. Deleuze’s publication of the Cinema 1 and Cinema 2 gave rise to multitudes of secondary studies that apply, refute or extend Deleuze’s core theses on the cinematic image or movement. Notable studies such as Massumi’s Parables of the Virtual, Connolly’s Neuropolitics, Zourabichvili’s Deleuze: A Philosophy of the Event, and the works of speculative realists/materialists such as Meillassoux, Brassier, Land and Negarestani have long pushed the theoretical envelope beyond Bergsonian film philosophy into newer realms of ontology and epistemology. One of the under-researched paths out of Bergsonian film philosophy is the relation of Marx and Deleuze in terms of temporality. There is a thin literature that problematizes this juncture, and in an attempt to reinstate a materialist theory of cinematic image, we go back to Deleuze’s inaugural book, Cinema 1, to retrace the steps and identify sites of contradictions that generate a crisis. In the Translator’s Introduction to the book written jointly by Hugh Tomlinson and Barbara Habberjam, we get a clear dispensation of Deleuze’s work. They both argue that Deleuze’s Cinema project is both a work of philosophy and a work of cinema studies, and can be described, at best, as an exemplification of Deleuze’s radical view of philosophy. For them, Cinema 1 is a work of philosophy along the lines of concept creation. They have highlighted two thinkers that influenced the work: Henri Bergson, whose radical view of the image helped Deleuze in reconceptualising his notion of the filmic image, and Charles Sander Peirce, which provided ‘a powerful typology with which to approach images of types’ (p. xi). Philosophical concepts in the book, in Deleuze’s purview, are intensities, direct mental impressions, which are impersonal. Philosophical concepts in the book are images of thought. 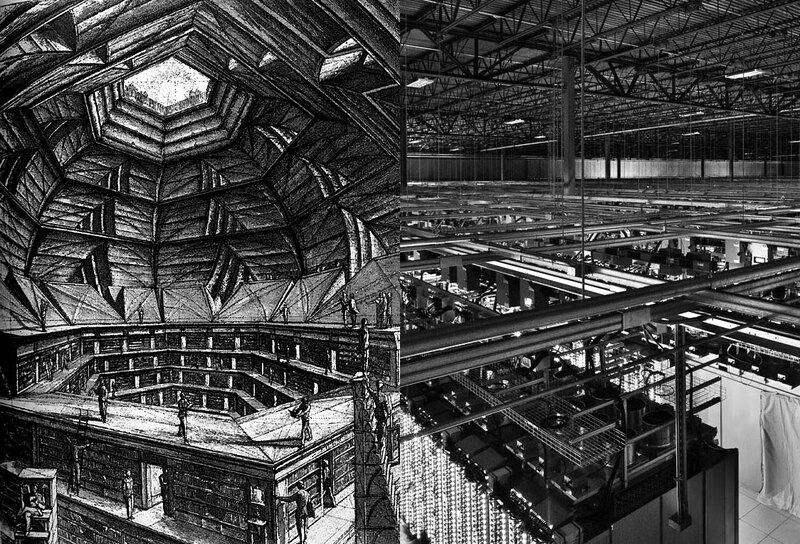 The work particulates a creation and invention of concepts alongside cinema’s creation of new images. Since film theory is concerned with phenomenological mapping of cinema, Deleuze insists for new method concept creation by way of decoupage (cut-&-paste) by grouping different things, wherein (a) boundaries an undermined and (b) new assemblages are created. This led the two interlocutors to conclude that the book is an intercutting of cinema and philosophy: ‘As such, it brings together a whole range of terms from each sphere, many of which may be unfamiliar to readers more at home in the other’ (p. xii). This shows that the Deleuze’s Cinema project is far from the materialist paradigm of critique, but an exemplification of what Marx has feared: the return to idealism. What is lacking in Deleuze’s project, in this initial reading of its introductory pages, is the engagement and entanglement with the material condition of cinema itself. Although one might argue that this conclusion was activated from a certain ‘biased’ (if there is such a word?) counter-ideology of Marxism, the necessity of entangling with the material is irrevocably linked to a recognized fact that there are larger forces at work beyond one’s solipsistic view: a recognition of a reality, a public, outside one’s subjectivity. Bibliographic Note: Brassier, Ray. 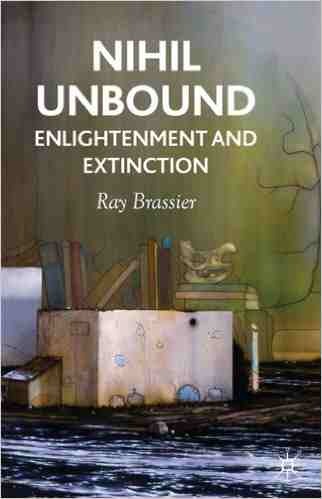 Nihil Unbound: Enlightenment and Extinction. New York: Palgrave Macmillan, 2007. Print. p. 153-156. My critical summary of Section 6.1 of the book Nihil Unbound: Enlightenment and Extinction. I provided an additional reflection on how this certain section from Brassier’s book can be of help to my Lav Diaz x Time research project. To understand time in a conceptual sense, Brassier insists that the relation between intra-temporality and ontological temporality must be established. The relation between the time-within-being, or that which gives the being an existential duration, and the time-outside-being, or that which gives the universe of beings an absolute duration must be explored to properly provide an ontology of time. According to Brassier, in Heidegger’s essay, the privileging of individuated time is highlighted by the turning of the object of the temporal analytic towards the Dasein, that, to understand time is also to understand the determining characteristic of Dasein. Heidegger highlights that Dasein has two components: temporal specificity (Jeweiligkeit) and mineness (Jemeinigkeit) and its conceptual constitution is always a ‘mine’ – a specificity of the “I am”. My critical summary of Chapter 1 of Bergsonism. I provided my own examples apart from what Deleuze gave. This is an exercise in making reflective memos, a tip I got from Raul Pacheco-Vega’s blog. In Chapter 1 of his book entitled Bergsonism, Deleuze emphasized that intuition is a method of ‘precision’ that follows a set of ‘strict rules’. This is indeed counter-intuitive to what we usually think as ‘intuition’. Intuition is not a gut feel; neither it is the feeling that wins you over a bet or a game of luck. It is, for Bergson and also for Deleuze, a philosophical method, a decisive turn in a given duration or state of things. Intuition provides us precise ways of knowing and differentiating lived experiences and reality itself. In philosophy, problematizing something i.e. an event, an object, a set of relations, is one of the first steps in drafting a philosophical proposition. Problems are always tied to philosophical concepts and percepts. Bergson (via Deleuze) proposes that it is not enough to state one’s problems accompanying a set of solutions. One has to discern or evaluate whether the stated problem is true or false. In order to do so one uses intuition as a method of qualifying and evaluating problem statements. A personal account of my encounter with the philosophy of Gilles Deleuze. A work-in-progress. Before I proceed any further to this blog project, I would like to take time in introducing my strange ‘friendship’ with Gilles Deleuze: a friendship which involves “competitive distrust of the rival as much as amorous striving toward the object of desire… claimant and rival.’ My admiration for Deleuze traverses between an amorous cohabitation and a rivalry. 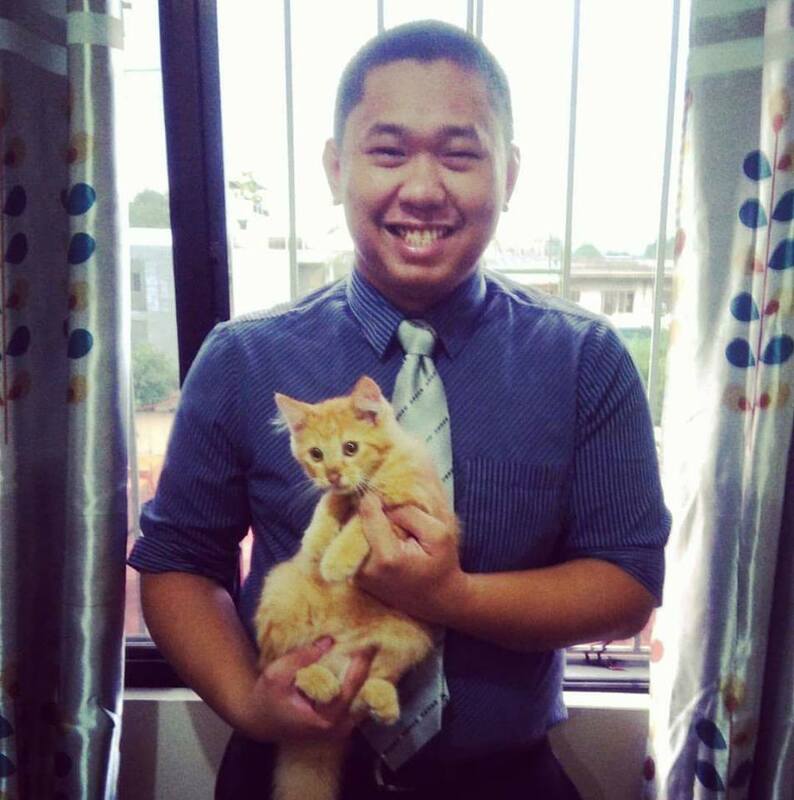 His philosophy, for the past two years, provided me enough space for thinking. His philosophy became my place of residence, my living abode, my overgrown garden where I could sit every afternoon drinking tea. It is as if each of his concept is meaningfully placed in a space before me, like objects in a toolshed – a network of ideas sliding on top of each other, ceaselessly transforming in each step of the way. Each concept is a friend, a tool, a strange outgrowth. 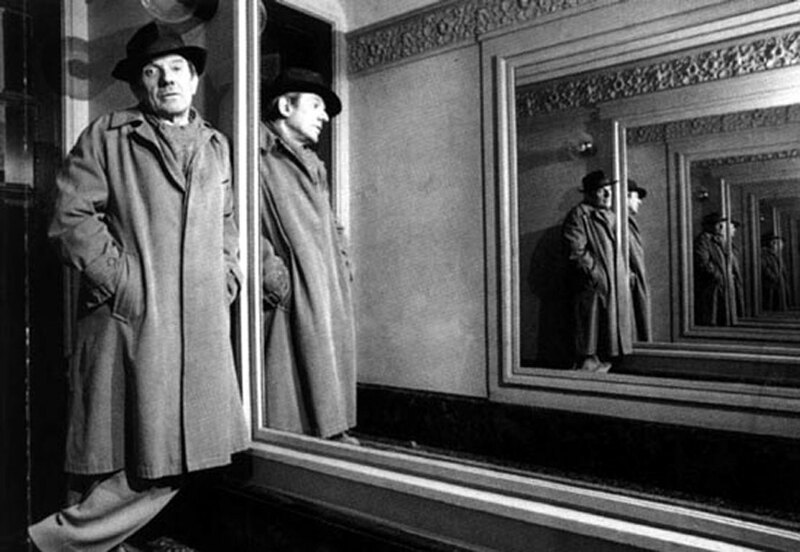 Deleuze easily became a confidant, a keeper of my secrets, a giver of pathways. Yet, one can never be too close to a friend. A right amount of ‘rivalry’ or critical reading and admiration sets the friendship in motion. And for two years we have been in conversation, in continuous debate, which would often amount to a transformative becoming of each other. Am I talking sense here? Is it possible to be in ‘conversation’ with a dead philosopher for two years? Or am I talking about my undisclosed invisible friend named Gilles Deleuze? Well, my encounter with Gilles Deleuze is real. The inscription of his philosophical ideas in my mind did not happen in thin air. I read him. I read his books and wrote marginal notes on it. I also read him through the books written by Deleuzian scholars. The encounter more or less is real. 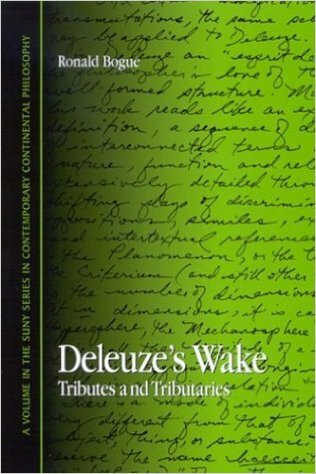 Deleuze’s Wake: Tributes and Tributaries, part of SUNY’s Contemporary Continental Philosophy Series, was the first book I bought about Deleuze. It was written by Ronald Bogue, one of the early scholars of Deleuze. I bought it when I was still an undergraduate student in Chemical Engineering (2008-2009) from a Booksale Bookstore at North Avenue. Like many other books at home, it laid on my bookshelf for years. I did not know what to do with it. It is a philosophy book with a strange and unfamiliar language. I remember reading it six years ago confused with the words deterritorialization, asubjectification, refrains, affect, time-image, as if underneath each word lays a secret world: a dense vegetation waiting to be explored and uncovered. My nineteen-year-old self is not enthusiastic enough to partake on a Deleuzian journey. So I left it on my bookshelf for years to gather dust .